In today’s world, it’s more important than ever to reduce downtime and access real-time data of machine performance to make educated decisions to improve production lines. Sensors, actuators and control systems have come a long way to provide these detailed analytics. IO-Link is one example of an emerging technology that provides tremendous value to the bottom line. 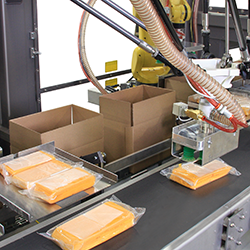 IO-Link is a point-to-point communication protocol for sensors and actuators that can enhance the flexibility, capabilities and productivity of packaging machines. This is true of new machines and those already in use. As a robust communication system operating on 24 volts, the main components are: an IO-Link master, IOLink devices (sensors, RFID readers, valves etc. ), and unshielded three or five conductor M12 cables. An IO-Link master establishes a connection between several devices and an automation system, usually a PLC. IO-Link Masters are typically installed as a remote device, with IP67 rated cables. Each IO-Link master can have many IO-Link ports. The system allows remote configuration, diagnostics, event triggering and the transfer of process data. Furthermore, each port on the IO-Link master is isolated to protected against short circuits and malfunctions. Coupled with diagnostics, a hardware problem can be narrowed down to an exact spot and fixed right away without opening high voltage enclosures or replacing fuses. IO-Link has the support of major automation companies including sensor and actuator manufacturers as well as controls suppliers. 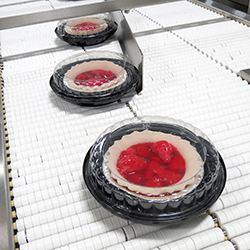 The automation industry is experiencing rapid growth of IO-Link enabled devices. As new products come to market they experience wide acceptance and support from suppliers, original equipment manufacturers (OEM’s) and end users. The advantages of using IO-Link are numerous. Devices can be integrated like common fieldbus systems. They are plug and play, no extra wiring or special training is needed, and they can be configured and commissioned in a timely manner. Diagnostic data, device information and errors can be gathered through IO-Link technology, thus reducing the need for troubleshooting and minimizing the likelihood of failure. IO-Link is used in areas such as preventive maintenance and equipment optimization. Replacing IO-Link sensors is simple as they are plug and-play and automatically devices. This is one of many features reducing production downtime by preventing incorrect settings. 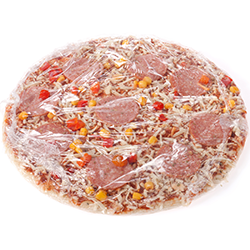 techtheme_edson_2 IO-Link connectivity: advanced robotic mixed-product case packing in action. 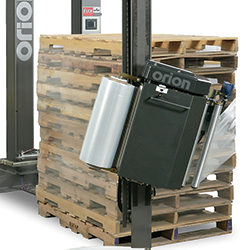 Edson has been embracing IO-Link technology for years and deployed many case packers paired with RFID technology (Radio-Frequency Identification). RFID works in a similar way to bar coding as it stores and communicates information to devices. Some examples include credit cards, library cards and toll collections. Instead of paper bar coding, coin size tags are applied that can read, write, rewrite, and edit multiple times without issue. Edson uses the technology to streamline product changeovers by integrating RFID tags to change parts. Based on machine product selection, the system will check for the appropriate RFID to run and it will notify the user when an incorrect part is being used. Furthermore, the number of cycles each change part has done can be written to the RFID tag on the change part and warnings can be set for scheduling preventive maintenance. Edson has shown the power of IO-Link by integrating a wide range of new devices. One of them, a heartbeat power supply, functions like other regulated power supplies. However, with its enhanced quality and diagnostics, it is able to function three times longer. When connected to IO-Link there is a wide array of available information such as: malfunction notifications, input/ output voltages, current, stress levels, life expectancy, operating hours, etc. Another device Edson has integrated was an IO-Link enabled valve bank which uses a single cable to send power, control and communication. The simplicity of installation and troubleshooting is its best feature. Valves are still controlled by safe power while the CPU processor and communication remain active in an emergency. IO-Link is not just some new technology; it is becoming an essential component in today’s world for making educated decisions and accessing detailed reporting. Machine builders, buyers, operators and maintenance personnel will benefit. Everyone wants fast, clean, simple and effective systems. The future is here.